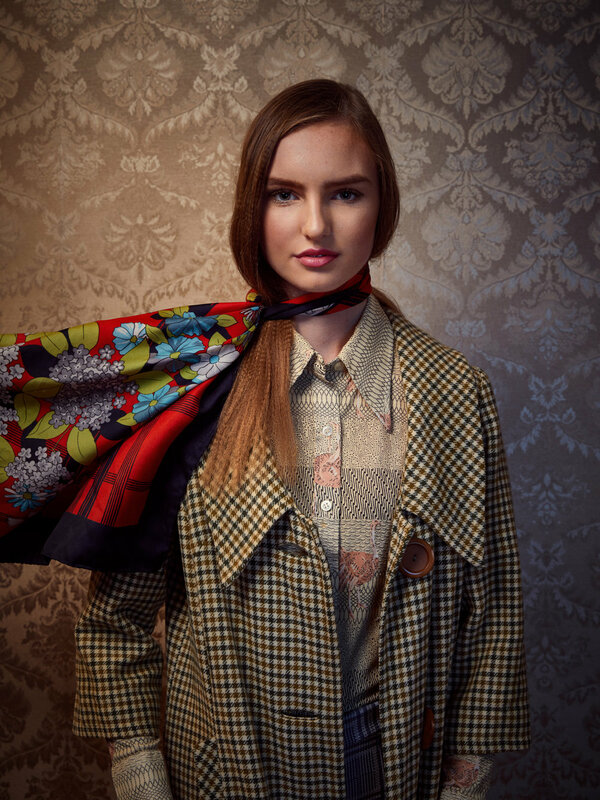 CAMPAIGN - A new fashion editorial, inspired by vintage work wear and angsty youth. Starring Alisha, Joel, Julião, Teresa, and Xuy; and featuring looks from local San Francisco designers Landbreaker, Ijji, and Evan Kinori. Full story live on Bob Cut Magazine. Concept and art direction by Linda Mai Green and Isabella Hill. And the last of three features I shot for Nob Hill Gazette’s style issue. Matt Petty sent me on a mission to photograph five of the city’s top stylists - the people dressing SF’s elite. Joseph Cozza has been in the hair game for a really long time. With a decade of industry experience under his belt, he opened his own salon in 1995 and has been a mainstay of the Union Square district ever since. Today, his current location sitting above Maiden Lane, has grown to cover everything from hair, make up, nails, and skin care. Needless to say, there was no questioning why NHG wanted to feature him in the September style issue. I met Joseph at the salon on a beautiful afternoon, at the perfect time for the place to be flooded with a war glow. I set up for a wide shot at his personal station, but made it quick as he’s not one to enjoy being the center of attention. From there I found a more quiet space at the end of a hallway to set up a tighter more intimate portrait. He seemed much more at easer in this scenario and we sat for a good 20 minutes or so just chatting, laughing, and capturing the moments as they came. For the gear nerds, here’s a look at the set up. An Elinchrom ELB head in a small Photek boomed overhead as the main and an LED ring light for a bit of on axis fill, but mostly just for the subtle catch light. And of course, a look at how it ran in print. Thanks to Joseph for being such a kind and humble subject and Matt Petty at the Gazette for sending me on the shoot. 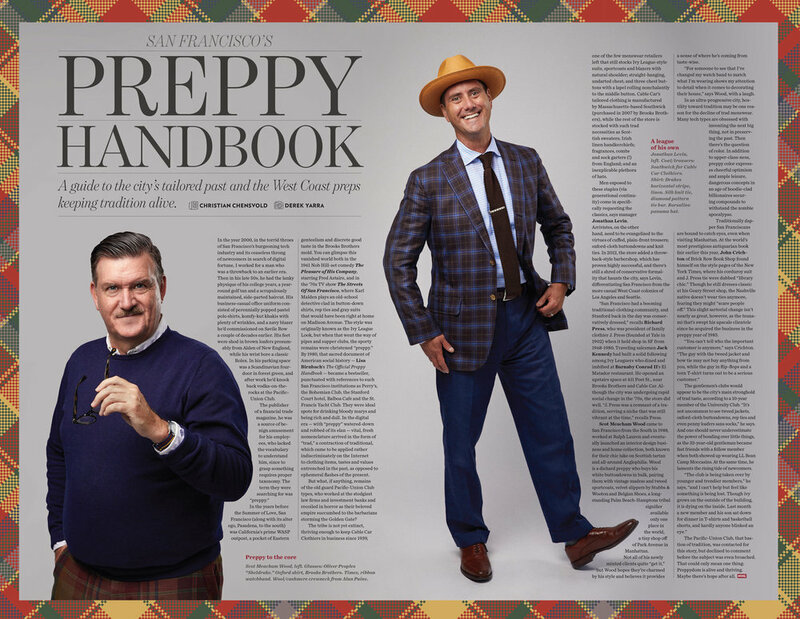 The first of three features I shot for the September issue of the Nob Hill Gazette - The Preppy Handbook. Interior designer Scot Meacham Wood and Jonathan Levin of Cable Car Clothiers were featured their specialty in carrying on the traditional ivy league style. I met the Gazette’s creative director at their office to build out a makeshift studio and the two gents cycled through for the shoot. Here’s how it came together in print. With the change of seasons, it's about time to share some new work. Patterns on patterns... on patterns and spooky autumnal vibes, a new fashion story with an excellent team. New work with Crystal lloyd. Eren Bali, founder of online education platform Udemy and healthcare start up Carbon Health, photographed in his downtown San Francisco office for the latest cover of Turkish business journal Platin. Chef Gabriela Cámara, known for her masterful take on Mexican seafood at her restaurants Cala in San Francisco and Contramar in Mexico City. Had the pleasure of photographing her for the opening spread of Nob Hill Gazette's new Influencers issue. Find it in print or read it online here.